TMJ is a joint disorder of the jaw. It is short for temporomandibular joint. You have two temporomandibular joints, one on each side of your jaw. The condition is referred to as TMJ syndrome or TMD, temporomandibular joint disorder. People still say they have “TMJ” even though this technically only refers to the joint and not any disorder. Some factors can cause this type of pain include teeth grinding, jaw misalignment or even poor posture. Understanding what leads to the pain can help in relieving the condition. You can also get relief from home remedies in the form of certain essential oils. You can manage TMJ with essential oils as well as other home remedies such as ice, moist heat, and OTC analgesic medicine. Most people find that they can get the relief they need by adding essential oils to their regimen. Some of the symptoms that are associated with TMJ include headaches (especially migraines), tooth grinding (known as bruxism), clicking, cracking, and popping of the jaw, and swelling on the sides of the face. In some instances, the condition can lead to dysfunction of the Eustachian tube or a dislocation of the temporomandibular joint. If you have regular pain in the joint of your jaw, you need to find out the cause and treat the condition with organic and natural products. By choosing essential oils, you can alleviate the pain and learn more about how to treat any underlying cause. The temporomandibular joint connects the skull and jaw. People who have TMJ syndrome often notice pain in the jaw joint as well as clicking and popping of the jaw. Ear pain is commonly experienced by TMJ sufferers. They may also experience a stiff or sore jaw or pain in the area of their temple. Some people experience a locking of their jaw joint when they have TMJ syndrome. The prognosis for TMJ is often good when it is treated with essential oils or similar home remedies. The risk factor is greater for TMJ when the patient maintains a poor posture. Poor posture in the area of the upper back and neck can lead to abnormalities of jaw muscle functioning. Women who are between the ages of 18 and 44 years old have an increased risk of experiencing TMJ. If you have inflammatory arthritis, you may suffer TMJ more often than people who do not have this condition. If you have had a jaw trauma or your teeth are positioned poorly in your jaw, you often will experience TMJ. People who are overly sensitive to stress and sensitivity are more susceptible to TMJ. Research demonstrates that essential oils can be used for the related muscle pain and headaches of TMJ. If you do not mix your own recipe of oils, look for oils that are sold in an amber or dark blue glass bottle. Never buy an oil that is featured in a plastic container. Essential oils react poorly if plastic is used. Also, make sure that the oil is actually an essential oil. Some products sometimes are only oils containing artificial scents. The oil should be organic or derived directly from the plant to be effective. Oils that are legitimate usually feature a USDA seal or display the term, “wild-crafted.” Wild-crafted means that the oils is harvested in nature rather than produced on a farm. This oil is recommended for treating jaw pain, tiredness, and tension headaches. In fact peppermint oil is among the most popular natural remedies for TMJ. This cooling oil has excellent antispasmodic and analgesic effects meaning that it helps relax the muscles soothing both tension and pain. Peppermint essential oil can also be used to treat headaches which are one of the major symptoms of TMJ. Coupled with its ability to relieve muscular tension and neck pain, we think it is a great choice for anyone looking to treat the condition naturally. Bear in mind that peppermint essential oil is very potent and should never be applied topically unless it is diluted first. Make sure that you combine it with a suitable carrier oil like jojoba or coconut oil to reduce the risk of an adverse skin reaction. Even after diluting the oil, it is good practice to perform a patch test on a discrete area of skin. If you suffer no reaction after 24 hours, you can go ahead and apply a larger dose. Lavender essential oil is known for is calming and relaxing properties. If you suffer from stress or a lack of sleep, this oil will also make you feel less anxious so you can relax your jaw and get off to sleep more readily. Lavender essential oil also helps relieve pain and has good anti-inflammatory actions meaning it can reduce the inflammation in the jaw muscles and cartilage. Its antispasmodic effects help ease muscle tension which is another common symptom of TMJ. Lavender essential oil can be applied topically and is gentle on your skin but it is still recommended that you dilute it before applying the oil topically. If your condition is causing you stress or insomnia, then try diffusing lavender oil next to your bed at night or adding a few drops to your pillow before bed. Many people with TMJ syndrome have found that clary sage essential oil has all the right properties to provide them with relief. Vlary sage is a popular choice because of its antispasmodic and pain relieving properties. These help soothe muscular aches and pains and can prevent muscular tension in the face and neck region. Clary sage is also used to relive various other muscle spasms including digestive and menstrual spasms. Dilute the oil with a carrier oil and apply it to the affected area to treat pain and smooth the muscles. Clary sage essential oil also helps calm the mind. Try diffusing it around the home to rid yourself of any stress and anxiety and to help clear your mind. Chamomile essential oil is another excellent choice for people suffering with TMJ syndrome. It has a wonderful scent and is known for its ability to calm the nerves and promote sleep. Chamomile essential oil also acts as a mild analgesic and has anti-inflammatory properties that can relieve pain and tension in the muscles around the face and neck. Try applying some diluted chamomile oil to the affected part of your body and inhaling it with a diffuser to promote calm and get a better night of sleep. This oil can be used for nasal congestion, which can increase the headache pain associated with TMJ. When the sinuses are clear, you are less likely to feel the head pain, especially in the temple area. To clear the sinuses, try inhaling eucalyptus essential oil by adding a few drops to a sink full of water. Cover your neck and shoulders and breathe in its wonderful vapors. You can use this powerful anti-inflammatory oil for muscular tightness and aches. It is highly recommended for use for the back and neck areas. Sometimes patients with TMJ may experience tooth pain. If so, clove-bud essential oil offers excellent support in alleviating tooth ache or pain. Jasmine oil is often used for the depression that occurs when someone is suffering from TMJ. This oil should be mixed with a carrier oil and inhaled if you are feeling depressed because of your condition and the associated pain. This oil is recommended for inflammation of the temporomandibular joint. Ginger essential oil has excellent anti-inflammatory and analgesic properties that can help relieve many of the symptoms associated with the condition. Apply it topically but be sure to dilute it with a suitable carrier oil first. When using essential oils for TMJ, you need to dilute the oils so that they can be applied effectively and safely. You can inhale the oils or apply them topically. When the oils are applied to the skin or the site where you are experiencing pain, they are absorbed. Just be sure that you are not allergic to the oil you are using. To make sure that the oil is right for you, you may want to apply a small drop to the site first and wait 24 hours to ensure you don’t suffer a reaction. When planning to use essential oils, you should first speak with your doctor about your plans. You may also find out if they are contraindicated with any current medicines you are taking. Always make sure that the therapy is right for you by speaking to your physician first. While essential oils are extremely helpful, you still need to make sure that their use does not conflict with other therapies. You always should dilute an essential oil with a carrier oil for the best results. Doing so will enable you to apply the oil without concern. If an essential oil is applied directly to the skin, it can burn the skin or cause irritation. To avoid this from happening, it is best to dilute with a popular oil, such as coconut oil. There are plenty of others to choose from including jojoba, sweet almond and olive oil. 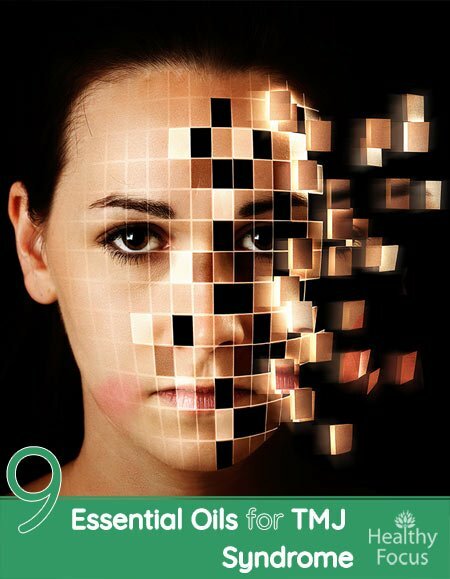 What essential oils help TMJ? The oil you choose will depend on your symptoms. Oils like peppermint oil are great for relieving jaw pain and tension headaches while lavender promotes better sleep and relaxation. If you are suffering with nasal congestion then eucalyptus essential oil may be the best choice for you. Apart from essential oils, there are a number of other potential home remedies for the condition. These include applying heat, a soft diet, jaw exercises, sleeping in a different position and herbal teas for relaxation. Can TMJ go away on its own? TMj is not a serious condition and most people find that they experience temporary pain that often goes away of ots own accord. Unfortunately, for many people, it is a recurring issue and they may need some home remedies and lifestyle changes to prevent it from coming back. If you suffer from TMJ or temporomandibular joint pain, you, no doubt, may be experiencing headache or sinus pain. You can choose from a number of essential oils that can reduce the discomfort. Often the use of essential oils can eliminate the need to use over-the-counter analgesics. Before you embark on EO therapy, speak to your doctor. That way, you can ensure treatment success. While some people ingest essential oils for treatment purposes, they should only be swallowed if they are a good-grade oil. It is always best to mix the essential oil with a carrier oil, such as coconut, and apply it directly to the affected site. Make sure that any oil that you buy is certified as organic. Buy the oil in either a dark blue or amber container to ensure its efficacy. You can mix essential oils in a recipe, and you only need a drop or two of each oil. For instance, if you add two drops of oil in a recipe, it should be paired with four drops of carrier oil for dilution purposes. If you are not sure about diluting the oils, contact a certified aromatherapist to assist you in dispensing this type of application. Of the essential oils that are featured for use for TMJ syndrome, clove-bud essential oil and eucalyptus are supportive type treatments. In other words, these oils can be used in case you have a toothache or you have clogged sinuses. Eucalyptus contains properties that open up the sinuses and alleviate the headache pain associated with TMJ. When essential oils are derived from plants, they are done so in one of four ways, through expression or cold-pressing, steam distillation, CO2 extraction, or chemical solvent extraction. Some flowers of plants cannot be steam distilled and must be derived with chemicals. Oils that feature labels with the word “absolute” have been extracted using this means. While essential oils continue to grow in popularity, their healing properties are not new. They have been used for thousands of years. Their amazing properties can alleviate all types of pain and provide time-tested relief.